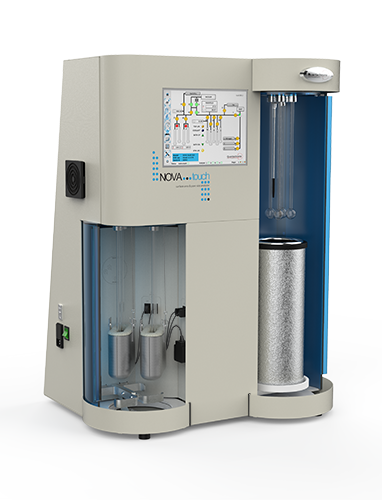 The NOVAtouch LX gas sorption analyzers deliver increased throughput and superior performance for BET surface area and pore size analyses. Available with 2 or 4 analysis stations, both with a dedicated P0 station and four built-in sample preparation ports. Both NOVAtouch models can produce BET surface area and pore size results using the classical helium void volume method, or via the patented helium-free method. The innovative full color touchscreen provides real time status and results.